I’ve had the distinct pleasure of knowing Dr. Ghassemi for more than 18 years. He was an exceptional student, and has been a pioneering dentist since graduation. He is always striving to provide his patients with the most advanced techniques today’s dentistry has to offer. I consider it an honor to call him my friend and colleague. I have worked closely with Dr. Ghassemi in the past and present in various capacity in the past fifteen years. I find Dr. Ghassemi to be a well versed dentist and an astute leader. He is an asset to the profession and an outstanding provider to those who seek his care. 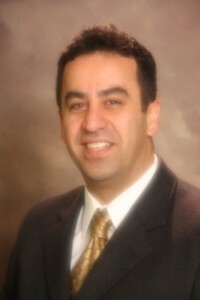 I highly recommend Dr. Ghassemi to those patients looking for a dental practice with personalized care in the East Bay. 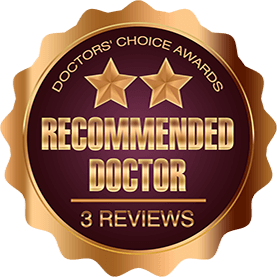 I consider Dr Gassemi to be an expert in his field of General and Cosmetic Dentistry, He is always up to date in all the advances in his field by taking numerous continuing education courses. He has been an active member of several National and international Dental Associations. I highly endorse Dr Gassemi as one of the best in his field. 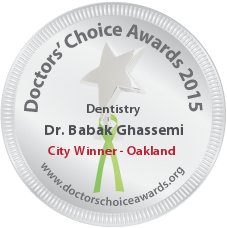 Dr. Babak is one of the best dentists in the Bay Area. If you want beautiful teeth you have a clear choice. Dr Ghasemi is an skillful and caring dentist.